The only thing more fun than knowing that the authoritative voice that growls "This...is...CNN" belongs to James Earl Jones is realizing that that same voice - with a little sweetening - is also Darth Vader's. Who are some of the other faceless voices we hear every day? Elwood "El" Edwards, 54, is the man heard saying "You've got mail" to AOL customers more than 63 million times a day. Announcer Edwards met his wife in a chat room, and she brought him to the attention of her bosses at AOL; the lovebirds exchanged vows in an online wedding shortly before holding their offline one in 1998. 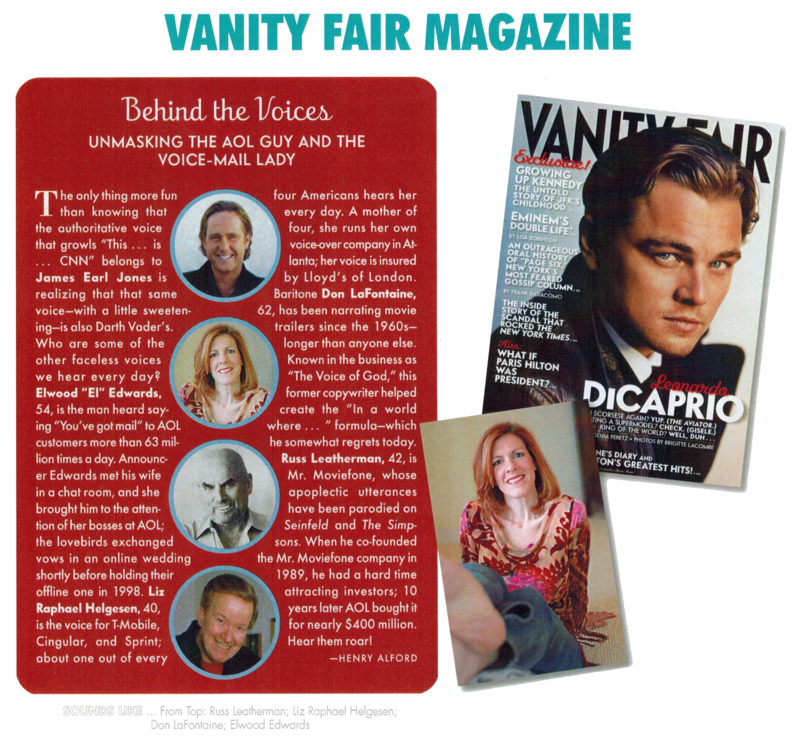 Liz Raphael Helgesen, 40, is the voice for T-Mobile, Cingular, and Sprint; about one out of every four Americans hears her every day. A mother of four, she runs her own voice-over company in Atlanta; her voice is insured by Lloyd's of London. Baritone Don Lafontaine, 62, has been narrating movie trailers since the 1960s - longer than anyone else. Known in the business as "The Voice of God," this former copywriter helped create the "In a world where..." formula - which he somewhat regrets today. Russ Leatherman, 42, is Mr. Moviefone, whose apoplectic utterances have been parodied on Seinfeld and The Simpsons. When he co-founded the Mr. Moviefone company in 1989, he had a hard time attracting investors; 10 years later AOL bought it for nearly $400 million. Hear them roar!